Diamond, Jason. “The Unrecognizable Genius of Guy Fieri.” Esquire, September 7, 2016. Fulton, Wil. “Bourdain vs. Fieri: An Awkwardly Deep Look Into America’s Best Chef Feud.” Thrillist, December 7, 2015. Guy Fieri’s Food Network Audition Tape. Youtube. Hollyman, Helen. “Who Is Guy Fieri?” Munchies, February 15, 2017. Hsu, Hua. “The Accidental American Genius of Guy Fieri.” The New Yorker, July 5, 2016. Magery, Drew. "Guy Fieri's Big Gulp." GQ, November 13, 2015. Rosner, Helen. 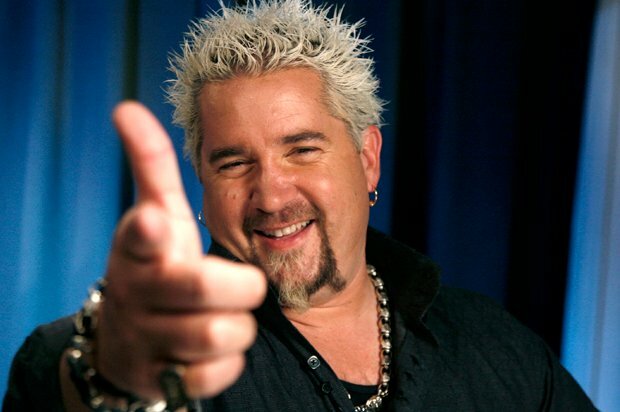 "1048 Words about Pete Wells and Guy Fieri." HuffingtonPost, November 15, 2012. Wells, Pete. “Restaurant Review: Guy’s American Kitchen & Bar in Times Square.” The New York Times, November 13, 2012.